Having or showing the insulting attitude of people who think that they are better, smarter, or more important than other people. If you would like to see haughty eyes, look no further than the faces of the men and women protesting the arrival of migrants from Central America. The woman who screamed, “we don’t want you; nobody wants you!” may have believed she was speaking for the entire nation. Haughty people don’t always look down their noses at the rabble; more often they are fearful, angry and paranoid. The list of evils in Proverbs 6 begins with “haughty eyes” and goes on to list the attendant evils that follow “the insulting attitude of people who think that they are better, smarter, or more important than other people”: lies, false witness, plotting evil, doing evil, and sowing the seeds of disunity. The American experiment has always been sorely tested by the haughty eyes of the fearful. You can see the fear in the clenched fists and distorted faces. When I think of the folks in Murrieta, a classic picture from the civil rights movement springs to mind. The place was Little Rock, Arkansas; the time was 1957. 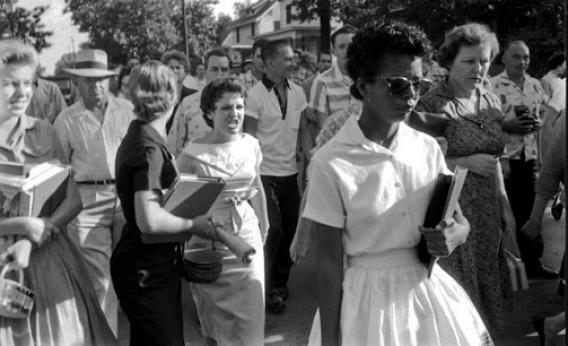 The white woman in the picture is Hazel Bryan, only fifteen years old at the time; the black woman is Elizabeth Eckford, one of the Little Rock 9. Elizabeth had just attempted to enter Central High School in Little Rock, but had been rebuffed by the Arkansas state guard. As she turned away from the school, a white mob followed her. When Hazel Bryan saw this picture, she was horrified. Looking up Elizabeth Eckford in the phone book, she reached out in apology. Hazel honestly hadn’t realized what being part of a mob had done to her. I hope the people of Murrieta, seething with the resentment of those who feel their position of privilege is threatened, will one day see their “haughty eyes” in the photographs flowing out of that community and realize what belong to a mob has done to them. We sometimes speak as if the mere passage of time has elevated us above the bigotry of previous generations. It hasn’t. 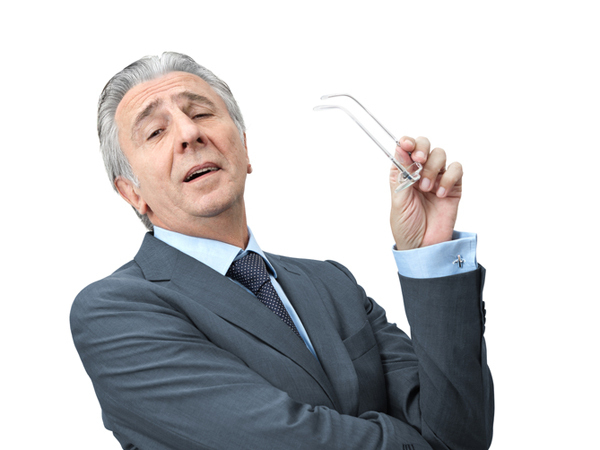 The haughty eyes of Proverbs 6 are hardwired into the human psyche. 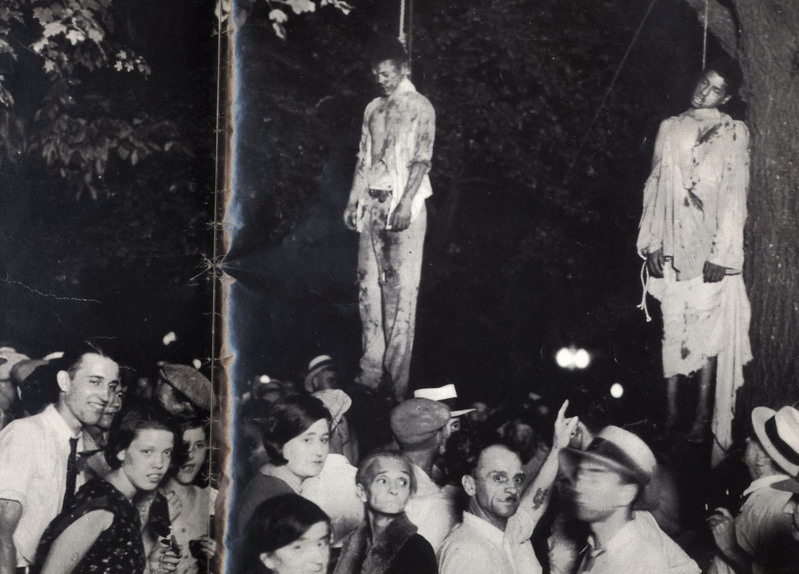 We are no better than the folks who viewed lynchings as celebratory events. Check out the couple in the bottom left hand corner of the picture–they are normal folks like you and me. What we are witnessing in California may be less extreme than a lynching, the holocaust, or the Rwandan genocide, but this is where it all begins and, as Proverbs 6 suggests, it’s all downhill from here. People in Southern California living on land taken by force from Mexico. People whose existence requires taking massive amounts of water from the Colorado River, turning it into a toxic salt flat as it enters Mexico. People whose way of life- their homes, food, hotels, restaurants, etc all depend on the cheap labor of illegal immigrants. The fear of a changing world….and the denial of our own sins and our own role in these events…so sad. 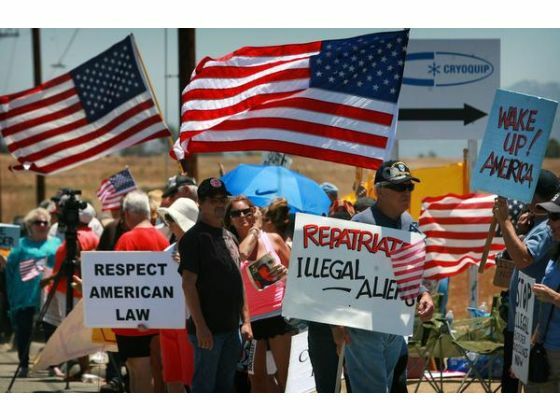 I will not say that people who are all worked up about so-called “illegal aliens”–the term is and will one day be recognized as an haughty epithet as is the “n” word–I won’t say these folks are not Christians, but they are not followers of the Way. Y’all come to Jesus, please! I just watched “The Passion of the Christ” for the first time and quite by accident as I was flipping through the channels a couple of days ago. I can’t help but think of the faces of the mob depicted in the movie as they cried out “Crucify him!” In the words of our Lord, these are people who “don’t know what they do” and stand in severe need of God’s forgiveness and ours. History leads me to believe that a country, whose borders are not respected, is only a territory consisting of anarchy. This country appeals to many people of the world precicely because it has an economly that has produced the most benefit for the largest number of people in recorded history. That has happenened because of the rule of law and its system of check and balances on exercise of power. It has resulted in balance of freedom and law. I believe in immigration, LEGAL immigration. according to United States law. Is it in the best interest of the world for the United States to descend into lawless anarchy? They also stand in severe need of knowing what they do. Gene, if the protestors agreed with you, they wouldn’t be there. They were screaming and protesting people who were being detained and would receive a hearing, as part of the legal process. We can”t just deport people who might qualify for asylum or special immigrant status, as per our own laws (and treaty obligations that affect the treatment of refugees). Those protestors aren’t arguing for a balance of freedom and law—they’re arguing for discarding the rule of law when it applies to people they think are beneath them.